Home > Can you get life insurance on someone you don’t know? Sometimes, people want to take out a life insurance policy on someone else, but they do not want the insured person to be aware of the policy. Can you take out a life insurance policy on someone without his or her knowledge? There are several reasons for this restriction. First, the person who is insured will often be required to answer medical questions, submit to various tests, or undergo a complete physical in order to get the coverage. Obviously, you cannot take out insurance on someone who cannot comply with these requirements. Another reason you cannot insure someone without consent is that people have attempted to take out insurance on people whom they perceive as likely to die suddenly, such as a political figure or someone in a high-risk job. Clearly, it is both unethical and illegal to insure someone’s life in whom you have no personal interest. What is a “BLIND” life insurance policy? There are other reasons insurance companies prohibit people from taking out “blind” life insurance policies. Sometimes, the person taking out the policy may have an illegal reason for wanting the insured to be unaware of the policy, as when the applicant plans to harm the insured. While this situation does not arise often, insurance companies are well aware that it does happen occasionally, and naturally want to prevent this type of behavior if at all possible. Therefore, a spouse or other family member is precluded from insuring the life of a family member without informing the person of their intentions. Far more often, the person wanting to take out the policy has much more mundane motives for wanting to keep the policy a secret. Parents or grandparents may worry that a dependent is not capable of providing for his or her family after death, or will not have enough insurance to cover funeral expenses in the event of a sudden death. In this case, they may want to buy a policy for their loved one, but may feel that if they approach the person in question, he or she will reject the offer out of pride or embarrassment. What are some better ways to buy Life Insurance on other people? There are better ways to affect this outcome than to try to take out a policy in secret. By approaching the intended insured and explaining your reasons for wanting to take out a policy, you not only honor their feelings, but may be able to discuss the situation and reach an agreement in which you pay the premiums on a life insurance policy for that person’s benefit. 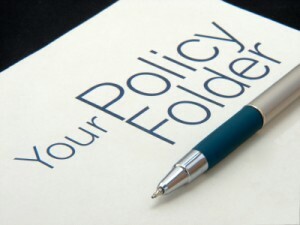 Ownership of a policy can be transferred if the insured’s financial situation improves. In fact, many children’s policies are based on this idea; a parent or guardian takes out an insurance policy on the child, then transfers ownership of the policy to the child when he or she reaches legal age. Of course, parents can continue to pay the premiums for as long as they wish, but transferring ownership to the child may make financial sense in certain cases. While it is illegal to take out a policy on you without your knowledge, there are many cases where a policy may be in existence that you have forgotten about or were unaware of as it was taken out when you were a child. When parents take out a policy on a young child, the child’s signature is not required, so there may be a policy in existence which was taken out many years ago and may have increased significantly in value. Talk to your family members about existing insurance, or consult an insurance agent who can perform a search for you to see if you have any existing policies of which you are unaware. If you believe someone has fraudulently taken out a policy on you without your knowledge, you have legal options to rectify the situation. Taking out a policy without your knowledge is against the law, so you should immediately file a police report. While the police do not often handle these types of fraud cases, preferring to refer them to the insurance agencies for prosecution, having a police report will give you documentation with which to proceed once you determine who holds the policy. Once this is accomplished, you can contact an insurance agency or the Medical Information Bureau to report the suspected activity. If you know the name of the insurance company issuing the policy, you should contact them, as well. It is important to investigate any possible insurance fraud as quickly as possible, in order to give you the best chance of pursuing your case.